Job Assurance: We Help our certified students Get JOB by sending them interviews. lots of recruitment companies contacts us for devops profiles. With Ascent learn AngularJS course which demonstrates how to use the essential abstractions of AngularJS, including modules, controllers, directives, and services. The course enables you to master front-end web development with Angular. It helps you gain in-depth knowledge of concepts such as TypeScript, Bootstrap Grid System, Dependency Injections, SPA (Single Page Application), Directives, Forms, Pipes, Promises, Observables, and understand the testing of the Angular class. Why to learn and focus on AngukarJS course? Angular has changed the entire picture of developing a web-based application and has been dominating the entire web market by offering a simplified and sophisticated way to manage the code. It aims to fulfill the expectations of modern developers who demand fast performance and responsiveness in their web applications. This Angular training course will help you comprehend and master concepts on Angular like facilitating the development of single-page web applications, dependency injection, typescript, components, directives, model-view-controller, etc. This Angular training course is easy to grasp and enables one to develop robust applications for projects of any scale. What you will learn with Ascent – AngularJS Training coaching Online Web Test Application – This project will help a developer to create and design an Online Test application in Angular with just a few lines of code. Online Employee Management Application – Develop CRUD (Create, Read, Update & Display) application using Angular & Bootstrap to design & maintain an Employee Management System. It will deal with few features like create, read, and update, display, searching, sorting & filtering employees. User Authentication System – The User Authentication System is created using Angular with NodeJS CRUD and Bootstrap. 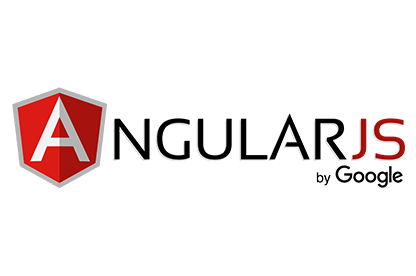 It provides users with a secure access login and registration to an Angular application.